It’s been a big year at Kings of Kangaroo Ground with our most rewarding Wine Show season ever adding a string of awards to our “Wall of Fame”. Special mention to our 2015 Shiraz/Cabernet which has now picked up four Gold medals, including Gold at the 2017 China Wine & Spirits Awards (CWSA). 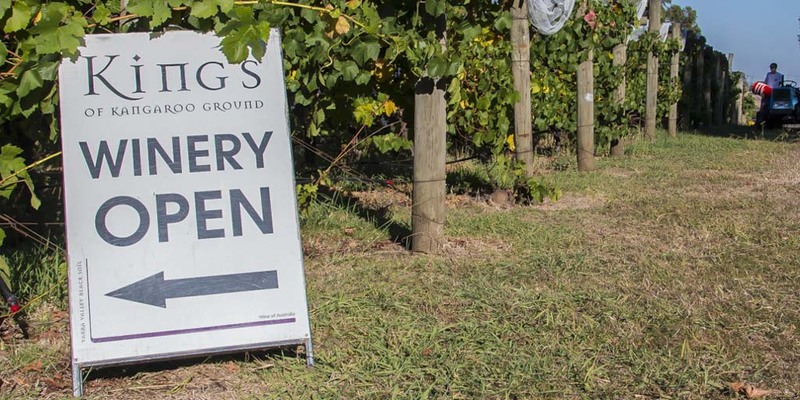 But on other matters, it has been somewhat overdue, but now here … time for a refresh and relaunch of our Web site, to bring both a new look and feel but also to add a lovely new shopping cart for purchase of Kings of Kangaroo Ground wine – how could you resist ? As you can see, the new site is up and running and we will slowly add more “stuff” as time progresses. Special thanks to Mark at Maker & Co Design in Healesville who was our ever so helpful designer and implementer to get this project completed … if you need a new Web site, Mark is the man. As part of the Web site overhaul, we’ll be launching a regular KKG newsletter in 2018 – you can sign up at the bottom of our home page – and stay tuned for news in the New Year of a new KKG Wine Club … details to follow in due course. In the meantime, enjoy our new Web site – anything else you would like to see, just let us know !